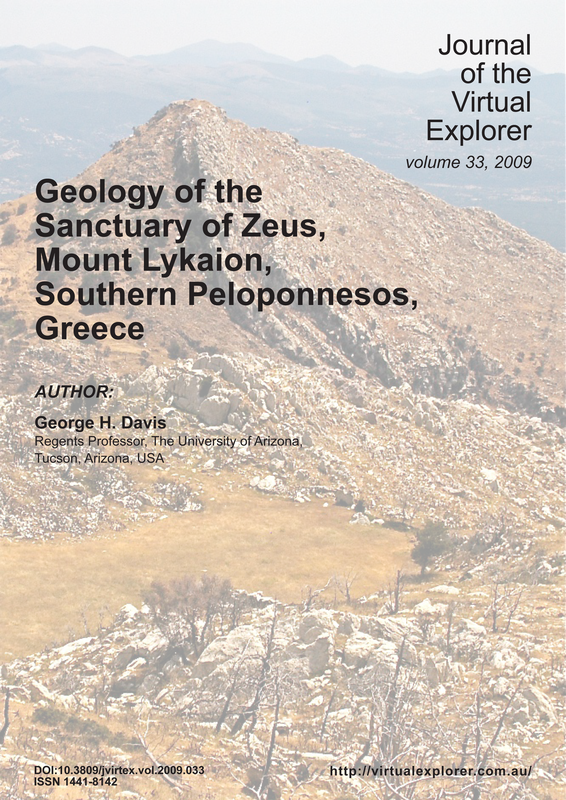 Detailed structural geological mapping of bedrock and structures within the Sanctuary of Zeus on Mt. Lykaion in the Peloponessos (Greece) reveals intimate ties between the archaeological and geological elements at the site. The physiographic setting of this Pan Hellenic mountaintop sanctuary is dramatic visually. The upper part of the sanctuary is situated on top of a high dome-like summit (~1400 m) known as Agios Elias (St. Elijah). Archaeological elements comprising the lower part of the sanctuary are distributed on a broad rolling surface at the base of Agios Elias on its north and west. The east margin of the upper sanctuary is a precipitous landslide-strewn escarpment actively being shaped by normal faulting related to regional extension. Active normal faults criss-cross the very summit of the sanctuary. The abrupt change in geomorphology from the lower to upper sanctuary areas coincides with the trace of a 10°-easterly dipping thrust fault (the Lykaion thrust fault), which was active in the early Tertiary and accommodated kilometers of east-to-west tectonic transport. The bedrock of Mt. Lykaion comprises five rock formations of the Pindos Group, and each has a very distinctive stratigraphic and landscape signature. The oldest sediments of the Pindos Group were deposited in a deep narrow part of the Neotethyan ocean.